Coastal processes have in the past impacted built and natural assets along our coast and reduced the recreational amenity of our beaches. 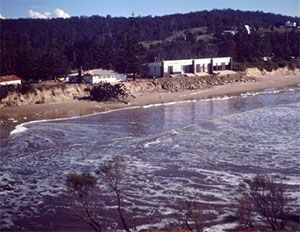 Like other parts of the NSW coast, our coastline suffered significant erosion events during the 1970’s, with major assets such as roads, surfclubs, caravan parks and foreshore recreational areas, all being impacted. The coastal processes and hazards they present are predicted to increase in frequency and magnitude over time given current scenario for climate change and sea level rise. For further information on coastal processes visit our fact sheet on Coastal Processes. For further information on coastal hazards visit our fact sheet on Coastal Hazards. Climate change is also expected to have physical, chemical and ecological impacts on our coastal environment. Our estuaries in particular will be impacted by changes in rainfall patterns, drought frequency, temperature and mean sea level. More specific effects could include loss of fringing habitat as water levels increase, changes in species composition, changes in entrance behaviour, reduced stream inflow impacting water quality and inundation of private and public property and assets. Climate change will also likely intensify the impacts from coastal hazards such as beach erosion, shoreline recession, entrance instability, coastal and tidal Inundation. 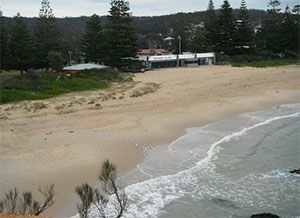 Bega Valley Shire Council has prepared a Coastal Processes and Hazards Definition Study to gain an understanding of the coastal processes that shape our coastline and the inherent coastal risks that arise from these processes. Buffer private property /assets from future coastal hazards associated with climate change. This approach also ensures public safety, protection of assets and minimises Council’s (and by extrapolation the community’s) liabilities that may arise through the development approval process.